In the journey from vine to table, it is our all-encompassing passion to create the best wines from the best vineyards. The bottom line is quality without compromise. At Maxville Winery, we do not just grow grapes, we grow wines. Vintage after vintage, our goal is to bring you wines that exhibit a remarkable consistency of style and elegance for all occasions. 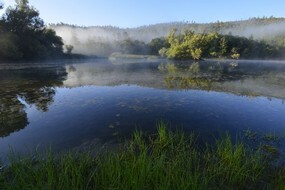 Nestled between St. Helena and Pope Valley’s famed Aetna Spring Resort, the site of Maxville Winery typifies the peaceful, serene beauty of the Chiles Valley region in the world-renowned Napa County, about 70 miles north of the Golden Gate Bridge. 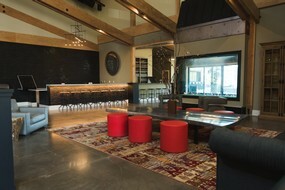 From the most impressive tasting room in Chiles Valley, its large underground wine cellar, outdoor patios and serene vistas, our guests are treated to a wine country experience that is truly “Quintessential Napa Valley”. 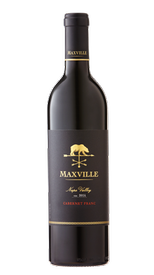 Today Maxville has over 100 acres dedicated to the vineyard that produces our own varietals which include Sauvignon Blanc, Cabernet Sauvignon, Cabernet Franc, Malbec, Merlot, Zinfandel, Petite Verdot, and Petite Sirah. 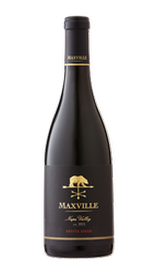 Maxville Winery mixes old-world tradition and modern technology which allow for gentler handling of both fruit and winemaking equipment to produce award winning wines. We are all a bit free-spirited by nature. Conventional rules, devoid of understanding our heart, hold no appeal for us. Guided by youthful enthusiasm and tireless dedication, our winemaking philosophy is about pure varietal expression which produces balanced wines high in quality, rich in fruit, and deep in character. 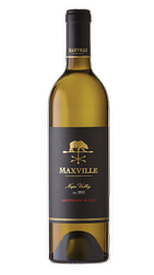 Maxville Winery wines are meticulously handcrafted from our premium estate grown vineyards to our small open-top fermentation tanks. Our wines receive the hands-on attention needed to produce wines of the exceptional quality that exhibits the intense flavor and character of each varietal. Enjoy with grilled or smoked meats and dishes with hearty, slighty acidic sauces. Pairs Delightfully with shellfish, white fish, summer salads and soft creamy cheeses. Enjoy with a variety of different meals as this wine is very food friendly. For a few tips, pairs lovely with Filet Mignon, pork, roasted chicken and can even pair nicely with some hearty fish. Enjoy with grilled steak, braised meats, lamb, or your favorite hard cheeses. Virtual reality video and 360 degree tours coming soon! !